My favorite game on mobile! 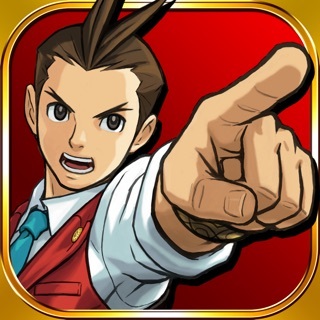 I loved this game when it came out on DS, and i’ve been waiting for so long for it to come out on mobile. Finally that day has come! This game may seem pretty expensive at $10, but if your a puzzle fan like myself then its well worth the money. The game is almost identical to how I remember it on the DS, aside from a few additions from the developers (all good btw). I only have two requests to make. 1) That after finishing the story, the remaining puzzles be moved the house; i’ve finished the story but am missing a few of the puzzles and don't know where to find them. 2) I’ve collected several (not all) of the puzzle solving charms, but i’m still not sure what they do, or if there just a new collectable thing for fun, which is fine if they are. Could there be some more description for them? Aside from that the game is awesome and I love playing it. Also, I don't recall if the weakly puzzles section was on the DS or not but I also really like that and if its new then I think its a great addition to the game (but save some puzzles for the next game 😉). Again, great game and well worth it!!! This is a tentative review since I just started playing yesterday; if I get a significantly different impression with more play I’ll update again later. 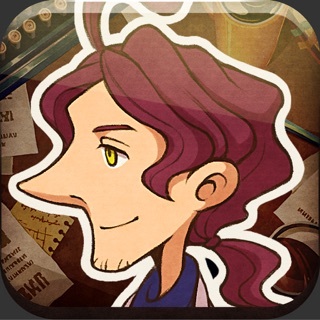 Lovely graphics, pretty slow-paced so far (story-based, which is fine, but I’m not finding the story all that interesting yet and I think the player is supposed to identify with the assistant but I’m just not feeling it), puzzles not that good so far, maybe better for children than adults. I’m extremely annoyed that the game doesn’t automatically save progress unless you click on the suitcase, when I opened the game today I’d lost all my progress from yesterday and had to start over. Overall plays more like a gaming station video game than a mobile app — i get the impression it’s intended for longer sessions, and again it doesn’t automatically save progress. 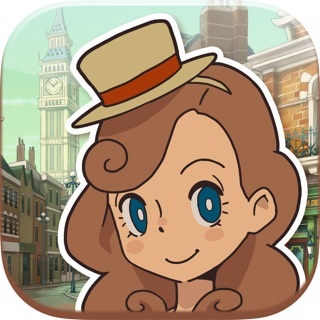 Alright I’m gonna be real - Professor Layton is one of the best video games ever for those that love brain teasers and FANTASTIC plot and storyline. Sometimes the riddles are easy af and sometimes I’m stuck for three days. The music is wonderful - MUST BE LISTENED WITH EARBUDS OR YOU WONT HEAR IT - but once you pop those earbuds in it takes me back. I really enjoy the way the game has been adapted to fit the iPhone screen. They stayed true to the original for graphics, storyline, play, and the split screen divider. Absolutely worth the 10 bucks and I will love this game forever. Thank you for making it into an app! Should you do more I will 100% buy all the installments. Thanks for creating this!! !